All Semester Hall tickets are ready at all colleges. Many colleges already start to distribution of the hall tickets and few colleges are planned to distribute by tomorrow or Monday. Examinations starts from Monday 19th May 2014. Anna University will be generated the All Semester (1st Year to 3rd Year) Hall Tickets on COE Portal Shortly. Tomorrow onwards, Students may collect the Hall Tickets from your College. 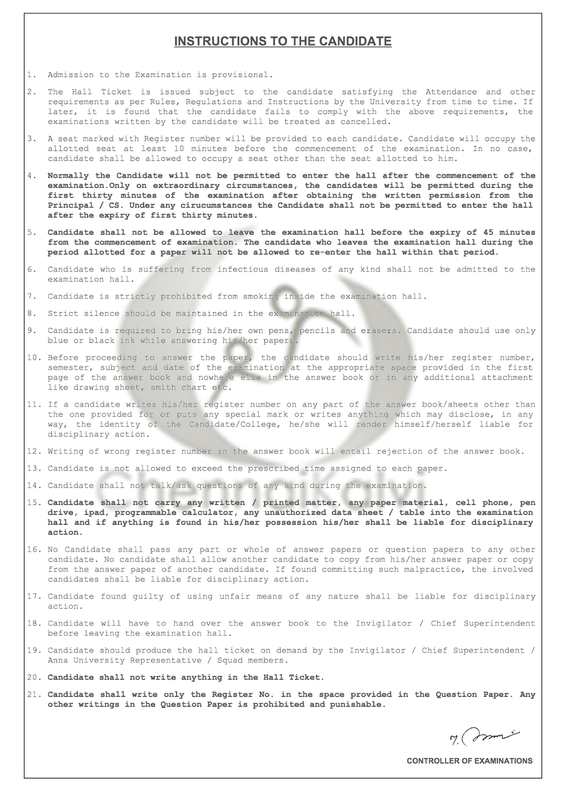 Final Year Hall ticket Generated and the Instruction for the candidates are also published. 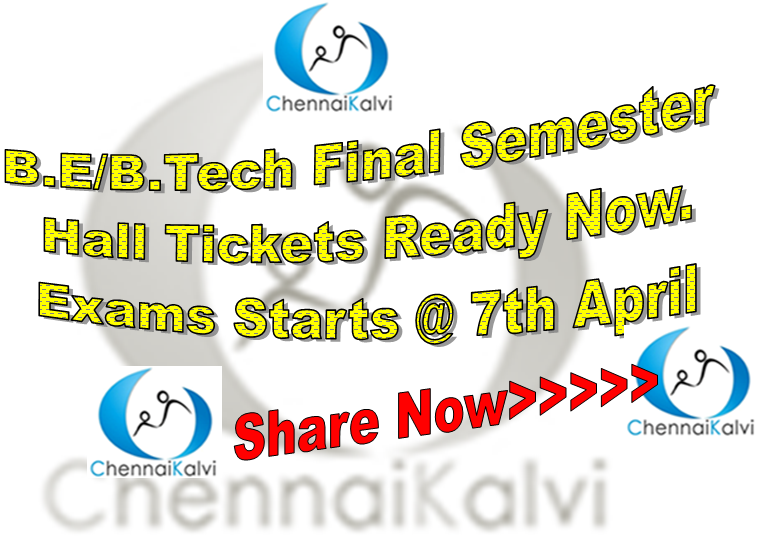 Anna University 8th Semester Practical Exams comes to end by tomorrow(05.04.2014) for Slot II. The Exam Hall tickets generated at AU COE Portal and it is now ready to distribution. The Final Semester Students can contact your college by tomorrow for collecting the hall tickets. Students also requested to check your final internal assessment report and calculate your internal marks. STUDENTS ARE REQUESTED TO STUDY WELL FOR YOUR FINAL EXAMINATION.